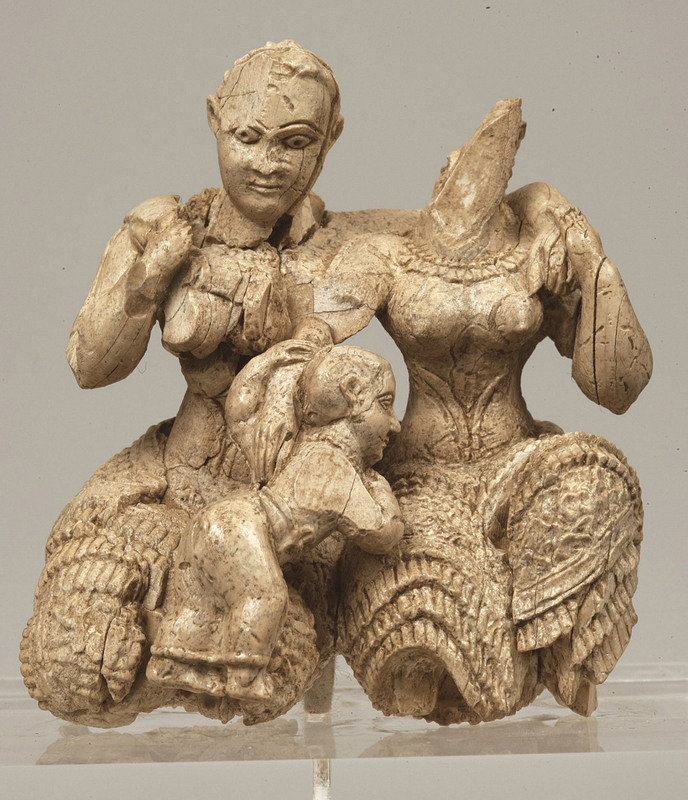 Ivory sculptural composition of two seated female figures and a child, known as the ‟Ivory Triad″. Inv. Nr. ΕΑΜ Π 7711, Acropolis of Mycenae, palace area, 15th-14th c. BC. © National Archaeological Museum / Fund of Archaeological Proceeds. As part of the temporary exhibition now running entitled “The countless aspects of Beauty” the National Archaeological Museum is organizing activities in experimental archaeology that offer visitors an opportunity to approach the aesthetics of the ancient world in a multi sensory manner. From Monday September 3 to Sunday September 16 experimental reconstructions of costumes inspired by Minoan Crete, Thera and Mycenaean Greece will be on display in the Museum’s exhibition areas. They have been created by the researcher archaeologist Diana Wardle, associate of Birmingham University and member of the British School at Athens, who made detailed studies of their depiction in wall paintings and micro sculptures as well as of the technology of weaving on a vertical loom. Visitors to the National Archaeological Museum will have the opportunity to see and experience costumes as they might have looked, depicted in such emblematic antiquities of the Museum as the sacred ivory triad from Mycenae and the Minoan Snake Goddess. 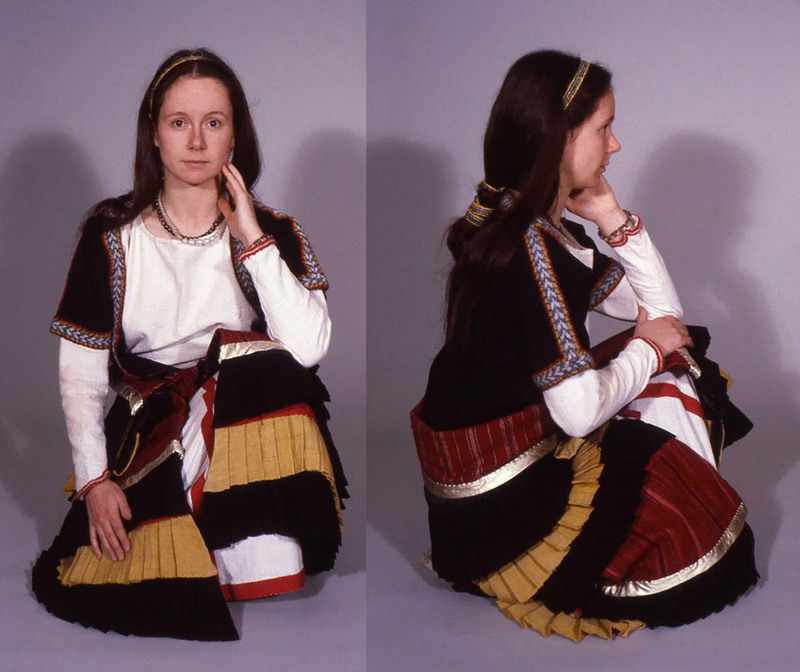 -Thursday September 6: lecture in the Museum amphitheatre with the topic “Reliving Aegean costume of the Late Bronze Age” at 18.00. For children and adults to attend the activity in experimental archaeology in the exhibition areas, phone bookings are required at telephone numbers 213 2144856 and 213 2144858 and the purchasing of a Museum ticket. The activity lasts approximately 30 minutes. Attendance of the lecture on September 6 is free. Entrance to the amphitheatre of the National Archaeological Museum is from 1 Tositsa Street.